Give your cards, illustrations, and scrapbook layouts a whole new dimension with the help of Copic markers. Blending colors is easy and fun, and with this How to Color Clouds and Sky tutorial, you'll learn how to create puffy clouds that look like they're floating right off the page! 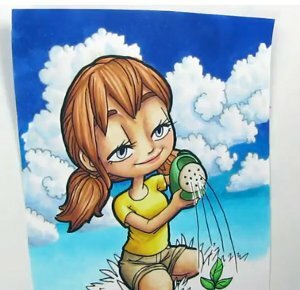 This is part 1 of a 2 part tutorial on how to use Copic markers to add backgrounds and style to your own stamp designs.